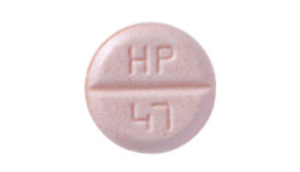 Innopran XL also known as Proppranolol is a drug that is used to treat high blood pressure. It helps lower the levels of blood pressure by blocking natural chemicals that affect the blood vessels and arteries. This drug helps to prevent strokes and heart attacks due to its ability to regulate blood pressure. 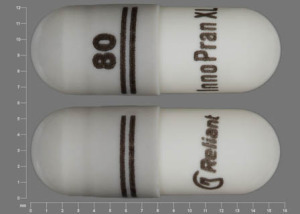 Innopran XL is also used to treat tremors, migraine and angina. However, the drug should not be taken during the occurrence of migraine or heart pain. It is also used to treat irregular heartbeats and other cardiovascular issues as well as to increase the chances of survival after a heart attack. 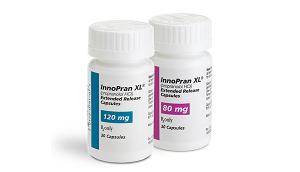 Other uses of Innopran XL include for the treatment of an overactive thyroid and to reduce the symptoms of anxiety. 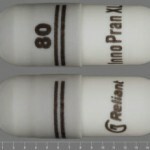 Innopran XL should be taken orally during bedtime. It could be taken either with or without food. However, it is important to maintain one way of taking the drug from the time you first start it. Keep in mind not to crush the capsule and to swallow it in full. The drug should be taken regularly even though you feel completely fine. The results of the drug will be visible after 1 or 2 weeks. 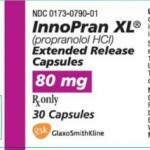 You should be careful when taking Innopran XL along with drugs for cholesterol because you many need to space out the drugs accordingly. It is important that you take the drug regularly and that you don’t stop taking it abruptly. Individuals with sicknesses such as asthma, sick sinus syndrome, AV block or a very slow heartbeat should avoid this drug. You should inform your doctor about depression, thyroid disorders, liver and kidney diseases, cardiovascular disorders, diabetes and other breathing disorders before taking this drug. Pregnant women should take extra care when using this drug because it could affect the infant’s health. 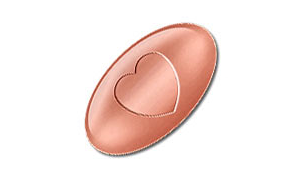 Innopran XL is transmitted to breast milk which makes it vital that you consult with a doctor before breastfeeding. You will have to keep a close watch on your blood pressure levels when taking the drug and inform your doctor before going through any surgical procedure. Certain individuals are allergic to this drug and may show symptoms such as rashes, itching, difficulty breathing and swelling of mouth and throat. 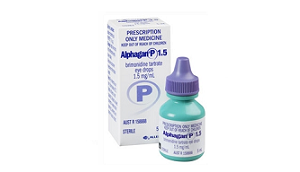 Dizziness and lightheadedness is also common when you first use this drug. You may also experience nausea, vomiting, stomach pain, difficulty sleeping, unusual dreams and changes in vision as a result of your body getting used to the drug. These conditions would typically diminish as your body adjusts to it. See your doctor if they are experienced for a prolonged period of time. Blue fingers and toes, mood changes, numbness of hands and legs, shortness of breath, very slow heartbeat, fainting, decreased sexual performance, increased thirst and the constant need to urinate are all side effects that should be considered serious. However, they occur in very rare situations. You should consult a doctor immediately if you notice rare symptoms such as signs of infections including prolonged fever and a sore throat.